Kerr wanted a glamorous, but simple look to compliment her beautiful red dress. Her tan was applied by celebrity make up artist Lisa Storey using St. Tropez products. For the face, Storey gave Kerr a light and gentle bronze using St. Tropez Wash Off Instant Tan Face & Body Lotion in Light/Medium. However, on the body Storey used St. Tropez Luxe Dry Oil with a light application all over giving Kerr a sophisticated light glow all night. 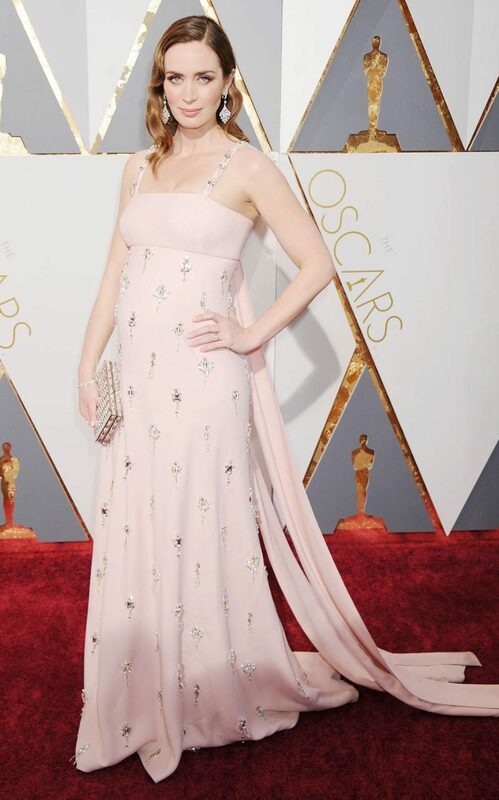 Jenn Streicher applied Blunt's beautiful and soft luminous tan on the night of the 88th Academy Awards. Using St. Tropez One Night Only Wash Off Face & Body Lotion in Light/Medium onto Blunt's arms and chest to create a dewy finish that lightly reflects the flashing lights of the camera. Roe's light glow beautifully complimented her gorgeous peach gown. For the most natural tan of the three, Roe had applied to her a lovely St. Tropez Self-Tan Classic Bronzing Spray from top to bottom! The tanning formula drys in 60 seconds and provides a natural, streak-free layer. If you are using this, we recommend you wait 8 hours to shower for the best results. Maintain this natural summer tan with their St. Tropez's Tan Enhancing Body Moisturizer.